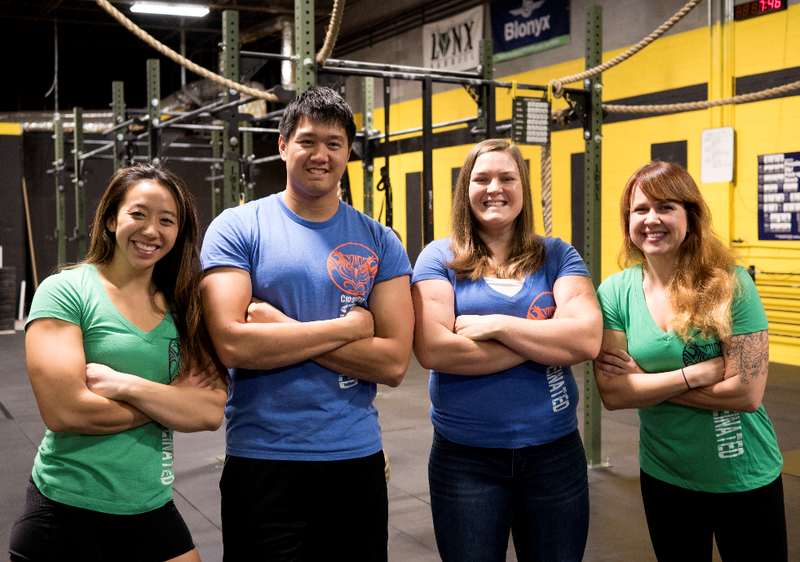 Welcome to Caffeinated CrossFit. We hope we get the chance to brighten your day and get your one step closer to YOUR fitness goals every day! Here is a little guide to get you more familiar with what to expect during our group CrossFit classes. The classes will start with a warm up, followed by some mobility to get you ready to move. We will then teach any of the movements to be used in that class. After that, we will do the strength and/or conditioning portions of the workout. If you want to go over any movements prior to class, the next page contains a list of the Foundational CrossFit movements as well as a number of others that we cover in your Elements Course. (Yes, you are required to take this course so you can move safely and feel comfortable during group classes) The text links to official CrossFit videos outlining each of those movements as well as a few others you will see in the future. Don’t worry if they look like too much for you right now … you will either surprise yourself, or you will get there eventually! In the meantime, they can be modified to something you can do now. ● AMRAP - 'As Many Rounds as Possible'. In the time specified, do as many rounds of the workout as possible, scoring it as the total rounds completed, plus the number of reps you were able to do toward the next round. For example, 3+4 would mean you completed three rounds, plus completed four reps of the next round before the time expired. ● EMOM - 'Every Minute On the Minute' (also referred to as On the Minute or 'OTM'). Here, you'll do the specified reps/work, then rest until the next minute starts. We are looking forward to seeing you around the gym! Please let us know if you have any questions at any time.